There are numerous strategies when it comes to running an online business, but regardless, all have one ultimate goal- conversion. The website, blog, social media pages and all the ad campaigns are all tools that are made to help gain audience trust, show that a business has the knowledge of the products and services that they provide and convert them from visitors to clients. While a business owner may genuinely wish to give their potential clients useful and valuable information, there is no denying the fact that they are running a business and that ultimately, they would like to see visitors turn into actual customers. Many have heard about digital marketing, SEO, and email marketing, but very few have considered or even heard about conversion architecture. Well, conversion architecture is simply about knowing what customers really need. It is about looking beyond the average site visitor and determining how to give the prospects the personalized service they require. It is about showing them what the business can do to help them meet their needs and eventually encourage them to take action. When successful, conversion architecture follows the 40-40-20 rule. The business owner spends 40 percent of their time targeting the well-researched audience, 40 percent marketing the offer and 20 percent of their time on creative endeavors. This rule acknowledges that the business’ website is the primary marketing tool and so, it needs to be well cared for to do its job successfully. So, what does a business owner need to do? It is imperative to set long term and short term attainable, true and realistic goals. The business’ products or services are best geared towards what age group, gender, social and economic niches? There are very few products for everyone. It’s important to have a practical marketing campaign and technology to convert a visitor into a customer. That implies a well-written call to action, a functional live chat feature or anything that will keep a potential client on the page until a decision is made. 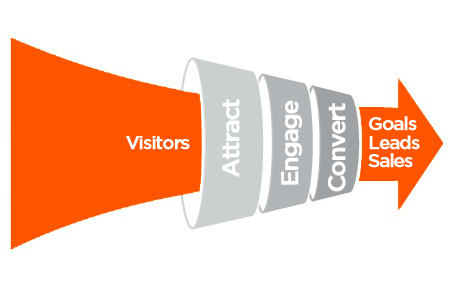 A smart business owner’s primary goal should always be to convert the visitors into buyers. 1.1.1 So, what does a business owner need to do?